Depth rating: 40 m (has internal air spaces). 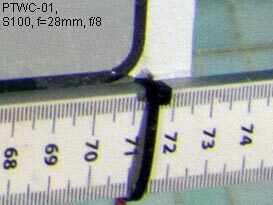 Dimensions /mm: 130.5 Ø, 68.6 L.
Not designed to work in air. Will block camera's internal flash (use external light source if artificial light is needed). 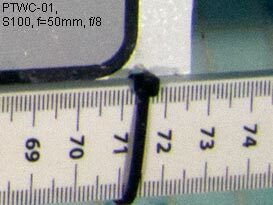 Rear optical aperture: 50.8 mm - sufficient for 28 mm camera lenses if port to entrance pupil distance is not too great (zoom in slightly or crop image later if vignetting occurs). 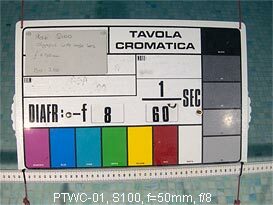 Pictures taken using Canon S100 camera in ikelite housing. Corner detail images have been resized to 2582 × 1937 (5Mp) before cropping. 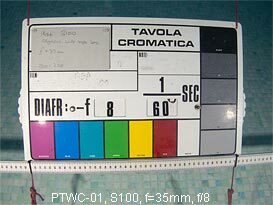 Underwater light source: 2× ikelite Pro 2800 video lights. 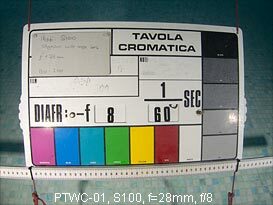 Lens shows slight vignetting with the S100 camera at f = 28 mm (35 mm equiv.) but this will be pushed out of the picture if radial correction is used. 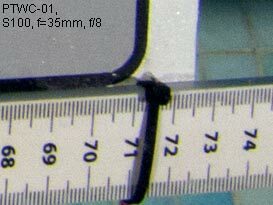 Images show exceptionally low chromatic aberration given the relatively large port to entrance pupil distance imposed by the 5× zoom lens of the S100 camera. 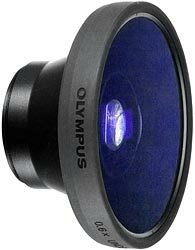 The excellent optical quality can be attributed to the very large exit aperture. 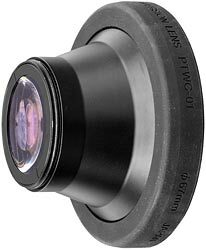 Pictures taken with this adapter can be exhibited at high magnification without the need for additional correction. 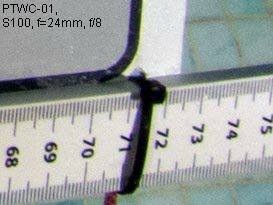 Assuming a screen resolution of 96 ppi, the corner detail images are as they would appear with the picture displayed at 27 × 20" (68 × 51 cm).